Some candidates are still asking; how to register for jamb mock exam? and some still do not know if they are eligible for the 2019’s JAMB Mock exam. This article will help you to know if you are eligible to take the JAMB 2019 Mock exam which has been slated to take place on 1st of April, 2019. 2 So, Who is Eligible to Take JAMB Mock Exam? Please take note of this: In as much as a lot of JAMBites would like to take the Mock Examination, unfortunately, not everyone is qualified to do so. So, Who is Eligible to Take JAMB Mock Exam? If you did not indicate interest to take the mock exam during the 2019 Joint Admission and Matriculation Board, JAMB UTME Registration, you are NOT qualified to partake in the mock exam and even if you are interested now, it is too late. However, you have nothing to worry about, as it is not compulsory to sit for it anyways. Although, if this is your first of sitting for the JAMB Examination, it would have been ideal for you to partake on it and know how the JAMB exam questions will look like. For candidates who indicate interest to take the JAMB mock examination, you can proceed to print your JAMB Mock exam slip if you have not done so already. Most candidates don’t know their mock exam date, venue and center, but, by printing your exam slip, you will be able to know your exam date, centre and time. 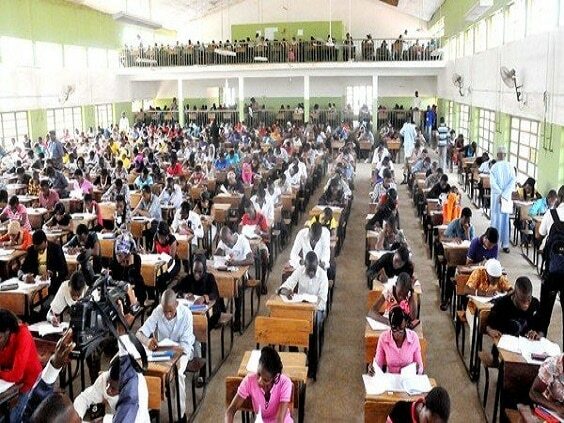 Visit this link: JAMB News Updates 2019 for everything about 2019’s UTME. Please click on the Twitter & Facebook like buttons to share this info with your friends.